When the insurance company accepts a workers compensation claim, California law requires that the injured worker seek all medical treatment within the Medical Provider Network (MPN) of the insurance company. The Medical Provider Network is the network of doctors contracted with the workers compensation insurance carrier to treat the injured workers who file claims with that insurance company. Prior to 2013, before Senate Bill 863 went into effect and changed the rules, there were many circumstances that enabled injured workers to treat with doctors outside the Medical Provider Network. Today, that is not the case. The insurance companies pushed through legislation that for the most part requires all medical treatment to be within the Medical Provider Network. Unless you are familiar with the different Medical Provider Networks and the doctors within them, you may not think that having to treat within the insurance company’s network is a big deal. After all, you probably do not find it hard to find a great doctor within your Blue Cross PPO network. Well, a workers compensation Medical Provider Network is not Blue Cross. Having to treat with the Medical Provider Network usually is a big deal in workers compensation in California because many Medical Provider Networks have very few doctors to choose from and the doctors who appear on these networks are often not very good doctors. Sometimes doctors who treat on Blue Cross will also appear on certain Medical Provider Networks, but in my experience as a workers compensation lawyer in California, doctors actually treat patients differently who are seeing them through their workers compensation claim. True story: I sent one of my clients to my own orthopedic specialist thinking he would get as good of treatment as I did and the doctor refused to even perform basic examinations on my client let alone provide the course of treatment I received. The difference in treatment that the doctors provide through workers compensation is the result of two facts. First, lower fee schedules for the same treatments. Second, the incentive for the doctor to provide less treatment in exchange for more patient referrals from the insurance company and continued listing on the Medical Provider Network. These two factors taken together create a huge problem for injured workers who need quality treatment to recover from their industrial injury. Currently more and more doctors are leaving the Medical Provider Networks or are getting outright kicked off of them. Some insurance companies have networks that have so few doctors in them that it is hardly a choice for the injured worker on who to see. So, while the laws increasingly restrict the injured worker from leaving the Medical Provider Network to seek treatment elsewhere the laws are also significantly restricting the treatment injured workers can receive within the network itself. Because of these changes in the law, it has become increasingly important for injured workers to seek the advice of a California workers compensation lawyer to help them through the process. If you have been injured at work, it is best to consult a workers compensation attorney about your rights. Remember, workers compensation lawyers know more than just the law. 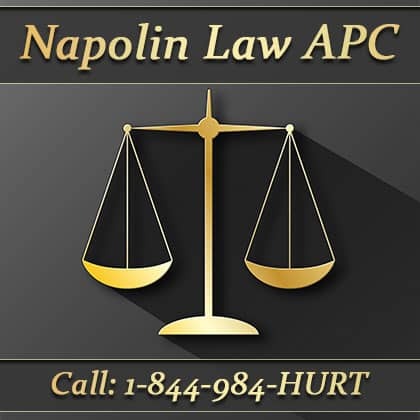 An experienced workers compensation lawyer will know how to maneuver the workers compensation system and help their clients choose the right doctors to help the employee get the treatment they need and the money compensation they deserve. 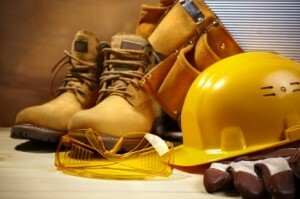 For more information on workers compensation in California, visit NapolinLaw.com or call us at 909-325-6032.